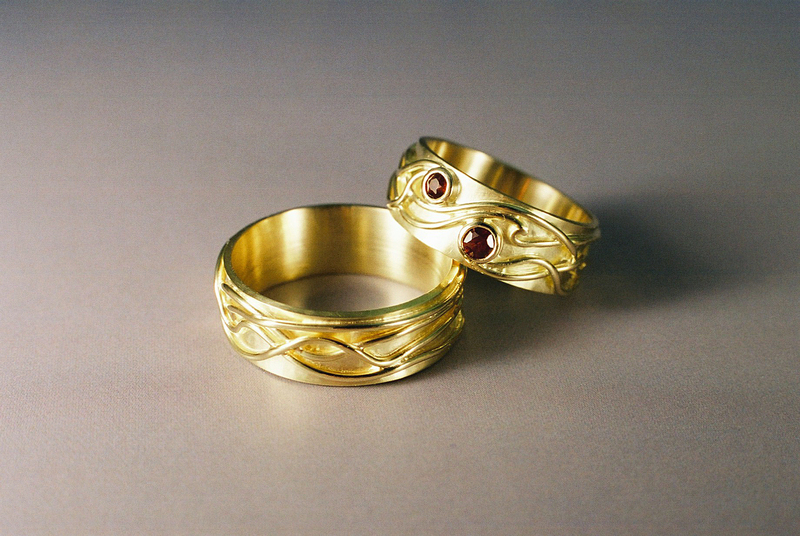 Celtic inspired matching gold wedding bands. Hand crafted in 18ct yellow gold with a satin finish. Each ring has four separate randomly arranged decorative wires that join to run under and over each other like the ‘Knot of Life’ without beginning or end. Lady’s ring has two additional garnets, rubover set on top.